Hi. You probably got redirected here from socialwebanalytics.com where my ebook, The Social Web Analytics eBook 2008, resided for 34 months. In that time the ebook was downloaded approximately 105,000 times. I now recommend you do not refer to the ebook other than for historical reasons, for which purpose it is still available here. I make this recommendation for the simple reason that now, April 2011 at the time of writing, the contents of the ebook have aged by 34 months! And that’s a lifetime for any facet of information and communication technologies. The good parts of the first half of the ebook are now found updated in my book, The Business of Influence, to which this website is dedicated. The second half of the ebook, the part describing the vendors’ capabilities in 2008, is so out of date I would be doing the companies a disservice by continuing to make the ebook available without the strong caveat here. Surprisingly, downloads of the ebook per month were actually growing towards the end of 2010 and into 2011, an indication perhaps that the prime time for social analytics had finally arrived. And not a moment too soon. 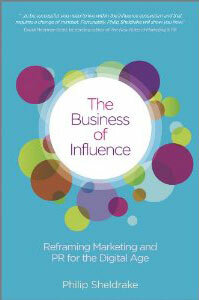 It won’t surprise you then to find me encouraging you to buy The Business of Influence: Reframing Marketing and PR for the Digital Age. It includes a ten page section on social Web analytics from page 33, including the 12 primary characteristics of such services – a section designed to inform your successful procurement of the tools and services most suited to your needs, or indeed to review your current selection. In the meantime, I’ll leave you here with my definition of social Web analytics from the ebook (and the one David Meerman Scott references in his 2010 book Real-Time Marketing and PR) and the intro to the ebook that I think has withstood the tests of time. So far. What is Social Web Analytics? I define Social Web Analytics as the application of search, indexing, semantic analysis and business intelligence technologies to the task of identifying, tracking, listening to and participating in the distributed conversations about a particular brand, product or issue, with emphasis on quantifying the trend in each conversation’s sentiment and influence. Technology has revolutionised communications, massively and irrevocably, to the benefit of the consumer, the adaptive and agile organisation, and those who cherish an open society. This ebook gives a brief overview of the characteristics of the Social Web (also known as Social Media), but that’s not its primary purpose. Rather, I review here how all organisations can try and make the most of the unprecedented wealth of information afforded by the Social Web, the incredible facility to ‘listen in’ on conversations close to their heart, and to initiate and engage in this dialogue. It has been relatively straight forward for PR professionals to work with a few dozen journalists; it has been a means to an end for advertisers to bludgeon brand values into targets; but today, keeping tabs on thousands of conversations is quite another challenge altogether… two-way dialogue between your stakeholders, and between you and your stakeholders. This ebook is an introduction to Social Web Analytics (SWA, also known as Social Media Analytics), the driver for it, how it can be applied, the key vendors and their services, and considerations for your organisation’s procurement of such services. I stop short of making recommendations of one vendor or one tool over another however; that’s for each reader to investigate equipped with the understanding lent them here and married to their insight into their organisation’s specific needs. Readers of my blog will see that I have leaned on the content of past posts in compiling this ebook. Lastly, but importantly, I urge readers to consider “A Bill of Rights for Users of the Social Web” by Joseph Smarr, the irrepressible Marc Canter, Robert Scoble and Michael Arrington.